It’s hard to decide on somewhere to go when presented with so many good options, isn’t it? Here are eight of the most exciting destinations in that nearest region of ours: Destination South-east Asia! Going to Bali is a safe bet – it’s warm, it’s beautiful, the temples are breathtaking and the food is out of this world. Whether it’s for a wedding, a honeymoon or a chilled-out break with friends, it never disappoints. For the ultimate in seclusion you can really treat yourself with a private villa at Conrad Bali. Or enjoy uninterrupted views of the Indian Ocean, not to mention some seriously gorgeous, golden-tinted beachfront, at Hilton Bali Resort in Nusa Dua. Early morning shot of the Jungutbatu village coastline with the Gunung Agung volcano visible in the background, not covered by clouds. Lembongan island, Bali, Indonesia. Late night arrival? Stay at Hilton Garden Inn Bali; it’s right next to the airport providing you with a good night’s sleep before exploring the best Bali has to offer the next day. Want to cool down in the tropics? Bandung, just two hours out of Jakarta, is cooler than the rest of Indonesia, thanks to its location in a river basin among the remarkable Parahyangan mountains. From the rooftop pool of the Hilton Bandung, you can sit back and enjoy the panoramic views or head out on a day trip to the turquoise-toned Kawah Putih, also known as ‘White Crater Lake. Jakarta is a multicultural city bursting at the seams with excitement, vigour and incredible food – not to mention some of Asia’s best nightclubs. Which is wonderful, in moderation; but at some point you’re going to need to get some sleep. With its expansive lagoon swimming pool and beautiful tropical garden, DoubleTree by Hilton Jakarta-Diponegoro will give you the rest you need. There’s even an Island Bar by the pool if you want to add some margaritas to that chill-out sesh. 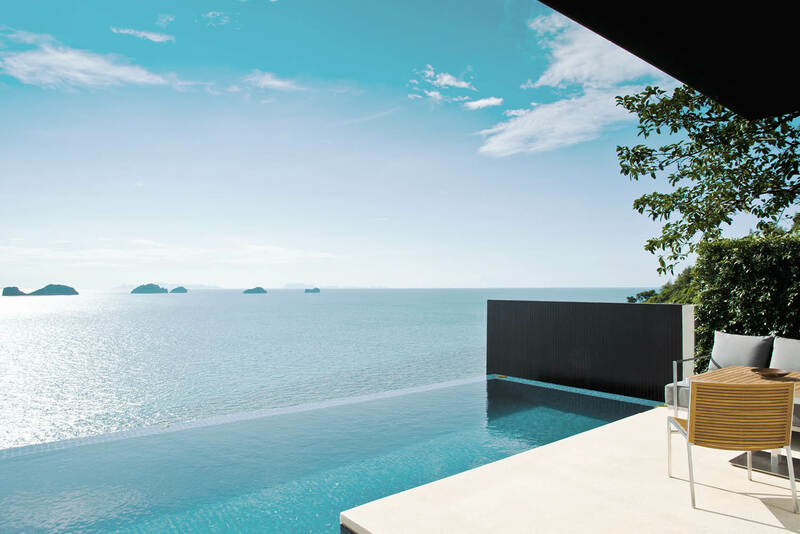 Pamper yourself by your private pool in your own villa at Conrad Koh Samui. Need a moment away from all that chill? Take a daytrip out to the fisherman’s village of Bophut and try some of the famous local food. See a bit of traditional Thailand in Hua Hin (a favourite destination of the Thai royal family) by experiencing one of the newly renovated rooms at the Hilton Hua Hin Resort & Spa, where the décor features handmade furnishings made locally and an interior inspired by local tales. Play a round of golf in one of the nearby clubs, and finish your day with dinner at the gorgeous Chay Had Restaurant And Lounge, watching the sun set over the sea – those famous Hua Hin beaches are right outside the door. Bangkok’s night markets are the stuff of legend – don’t miss the street food. Stay at Conrad Bangkok for views of the urban sprawl; at DoubleTree by Hilton Hotel Sukhumvit Bangkok to be in shopping nirvana; at Millennium Hilton Bangkok to experience life on the banks of the Chao Phraya River; and in 2018, go luxe at the new Waldorf Astoria Bangkok. With 101-hectare waterfront park Gardens by the Bay, Singapore is a picturesque city in which to spend a weekend. Try something different and go to Singapore Zoo in the morning for ‘Jungle Breakfast with Wildlife’, where you’ll eat your brekky with orangutans. Experience world-famous shopping at ION Orchard and Takashimaya Shopping Centre, both just down the road from Hilton Singapore on Orchard Road. Or check out the beautiful new Asian-inspired rooms at Conrad Centennial Singapore in Marina Bay. Who hasn’t wanted to visit the Maldives? It’s paradise, plain and simple. Heading off on a one-, three- or five-hour trip with StayInspired.com, you might find yourself watching the sun set on a cruise sailing the Indian Ocean, swimming with whale sharks and giant turtles on a dive or snorkel, or drifting through aquatic gardens. Stay at one of the overwater villas at the Conrad Maldives Rangali Island to experience the kind of luxury you’ve only ever dreamt about. 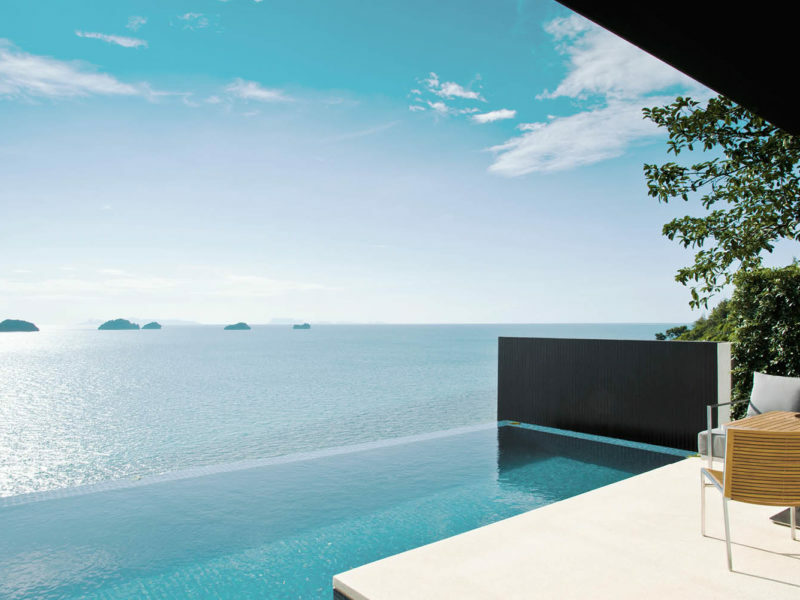 You even get your own private pool.